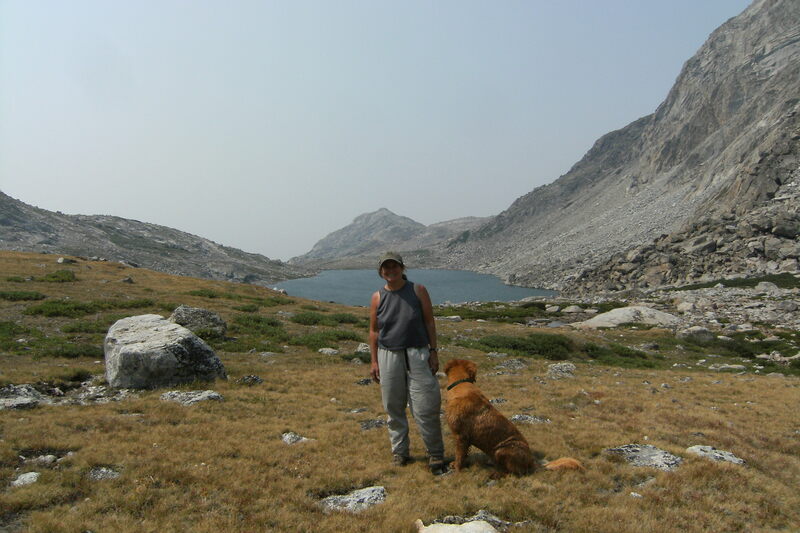 If things work out, I always try and spend some time backpacking in my favorite granitic peaks at the Continental Divide–The Wind Rivers or Bridger/Teton National Forest. This year I wanted to fill in an area that I’d never been to: the middle Winds through a trailhead called Scab Creek. 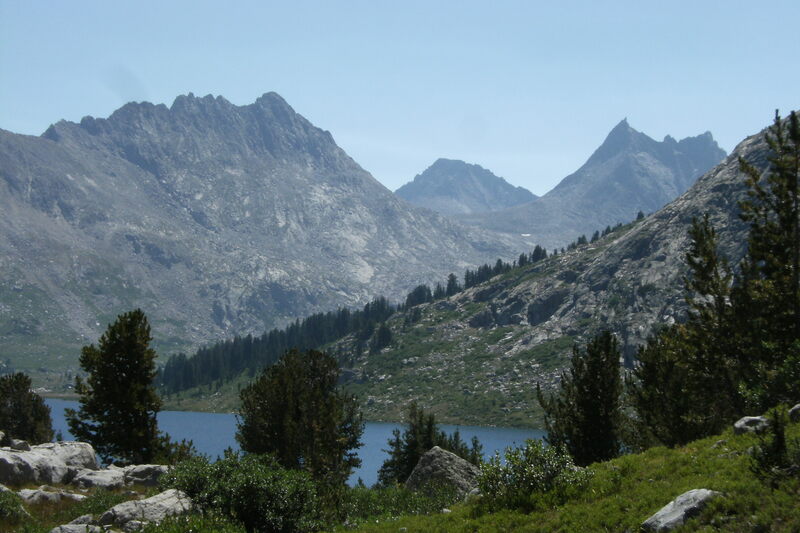 First off, if you’ve never been to these mountains, it turns out this is not the first trailhead you should seek out. There are other access trails that head more quickly and directly into the alpine reaches of the Divide. 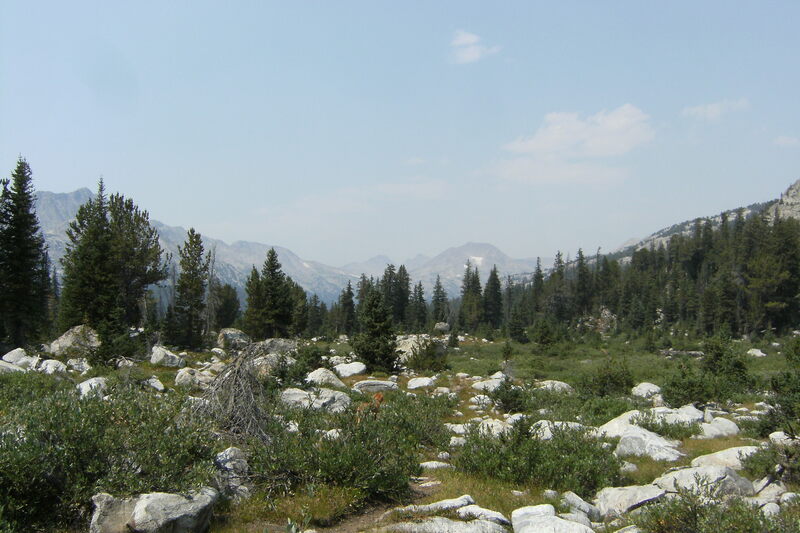 From the Scab creek trailhead, it’s approximately 18 miles to the alpine tundra. Also, the Divide in this area is accessed through a series of wide drainages that had no easy connecting routes. Although both trailheads offer fairly direct entrance into the Middle Winds, I chose Scab Creek over Boulder Creek because I understood that Boulder Creek trail ran through a large burn area. The summer has seen above average temperatures every day. Scab creek would be more pleasant. 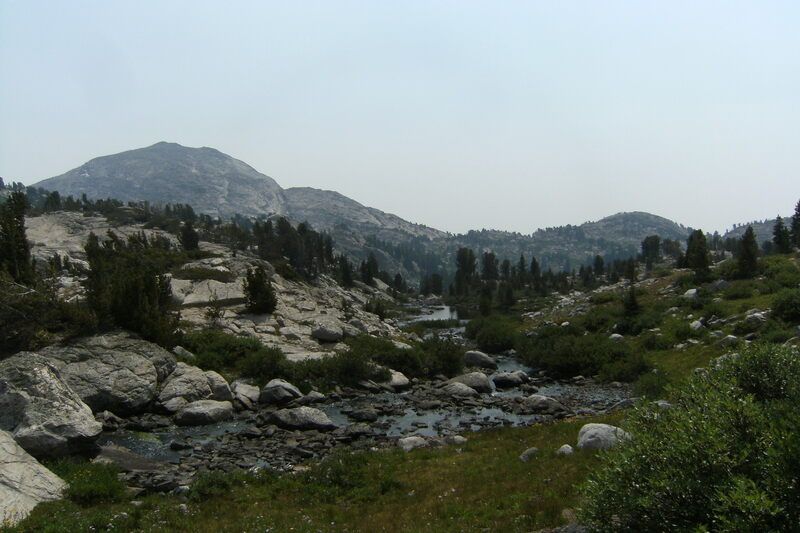 Scab creek is a dry trail for over 5 miles. It’s also quit an uphill slough. The first lake, Little Divide, is about 6 miles in. I recommend that you stop there for the night, because after that you’ll be going another 5 miles to the next set of lakes. 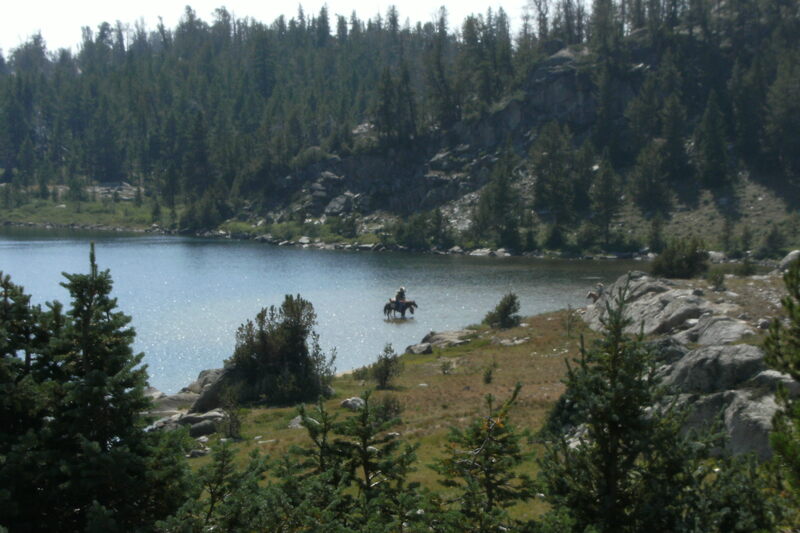 Little Divide is a pleasant, though usually crowded lake with a few groups as it’s a stopover lake, not a destination. Dream Lake would seem to be the logical next lake on your second day, but I found it to be not a pleasing place to camp at all, so I hiked the extra 1.5 miles to Sandpoint Lake, a wonderful gem surrounded by conifers with several large beaches of sand. 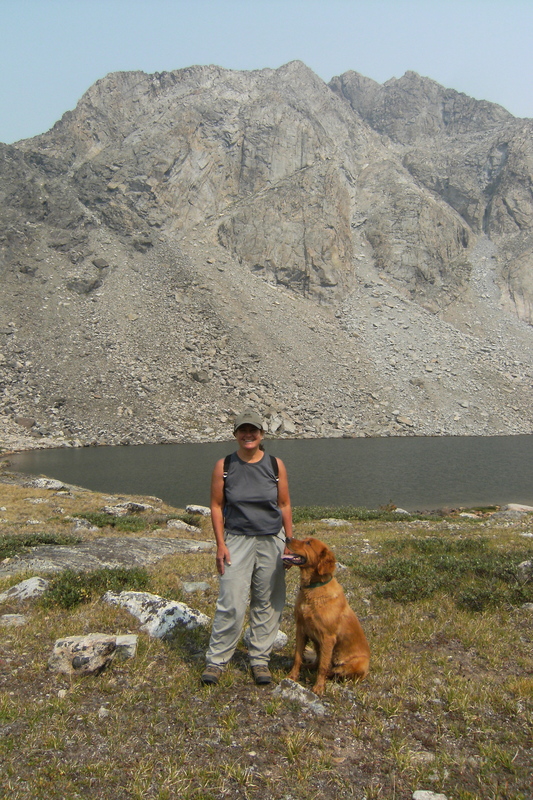 From there I took a day hike to Middle Fork Lake, an east-west drainage with access to the Divide passes. 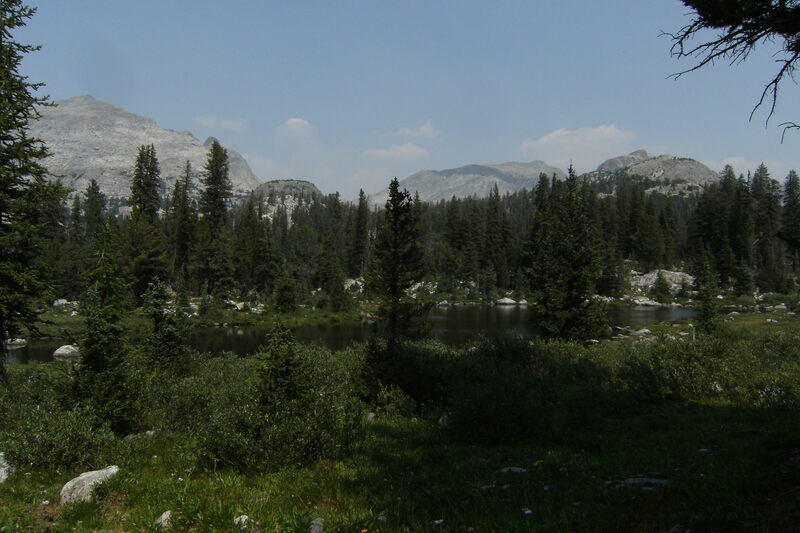 Because I was anxious to camp in alpine country, and I wanted to see North Fork and Europe Canyons, I packed over to Prue Lake, a beautiful alpine lake. My entire 8 days in the Winds was marked by smoke from fires. In fact, there was a fire just on the other side of the Divide on the reservation. The basin around Pinedale was completely obscured by smoke. 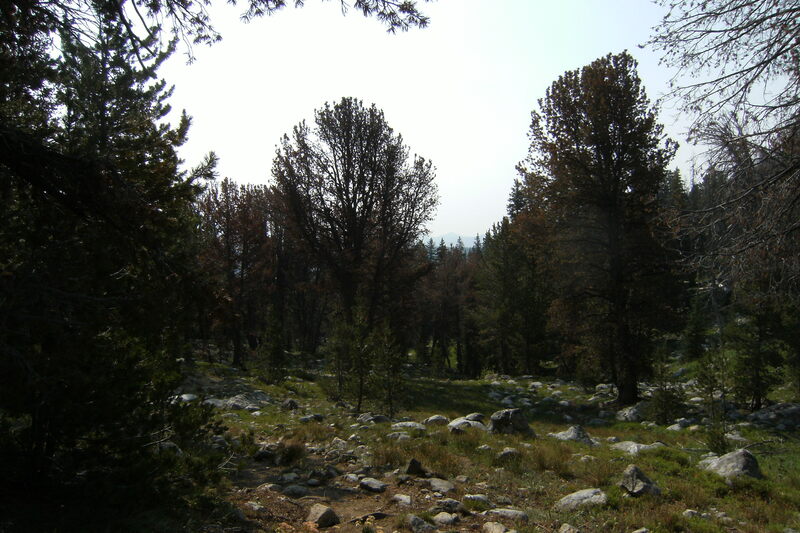 One depressing note was the noted increase of dead Whitebark Pines since even two years ago. I would approximate that 40-50% of all the ancient Whitebarks were dead or dying. 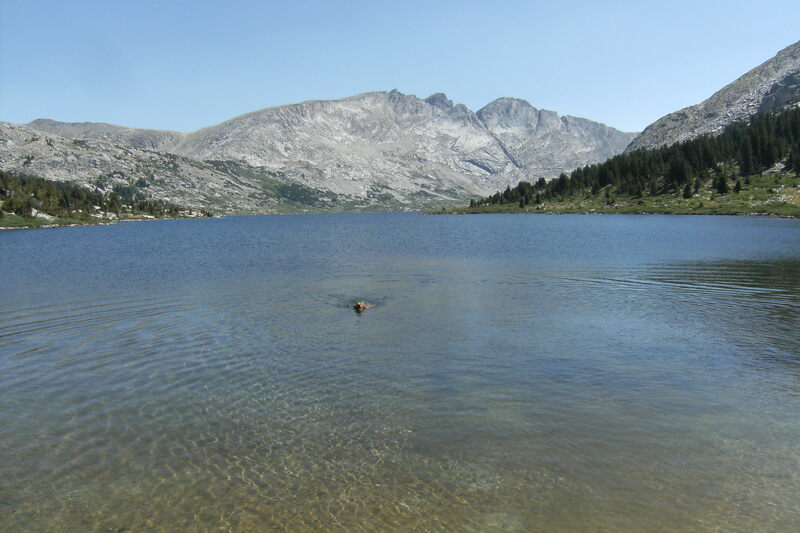 There still are few grizzlies in the Wind Rivers. I heard of a sighting over at Pole Creek this year, and last year there was reported a sow and cubs hanging around New Forks all summer. Grizzlies mostly head over to the Green River area north, where they get into trouble with sheep and then are relocated. 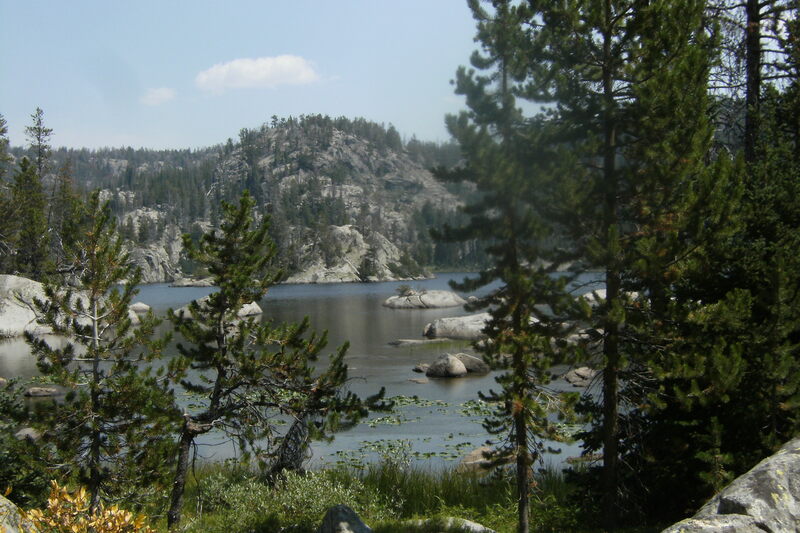 The Wind Rivers, Bridger-Teton Wilderness is NOT in the Grizzly Bear Recovery zone. I am not sure what the forest’s policy is, but it seems they look the other way as long as the bear is not making trouble. Europe Canyon was the high point of my trip. An incredibly beautiful, yet remote high drainage with several lakes, I met some new friends from England and hiked with them all day. Eight days in the Scab creek entrance is barely enough to get you to the Divide and back. I met a few groups that were doing shuttle hikes out of Elkhart Park through Pole Creek and out Scab. If you do the middle winds and can swing two cars, I’d recommend that as your itinerary. 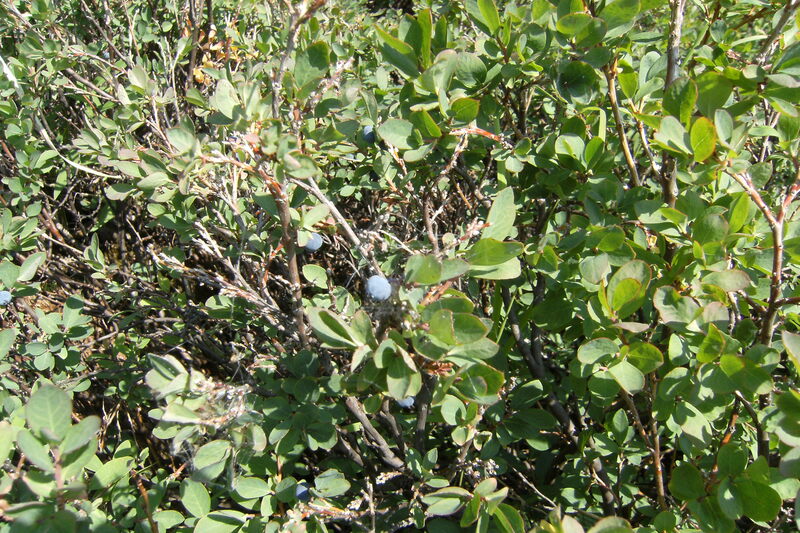 Otherwise, choose a route on the north or south end to enjoy more time in the high alpine country. The best thing about the Middle Winds is the lack of people. There were days when I saw no one. A fellow camping at Europe Canyon told us we were the first people he’d seen in 7 days. Although Little Divide can be crowded, there is plenty of solitude up the canyons in the high country, and for experienced backpackers, a lot of cross-country opportunities.